Thor Industries is the sole owner of operating subsidiaries that, combined, represent the world’s largest manufacturer of recreational vehicles and a major builder of commercial buses. Thor Industries was founded in 1980. They were listed on the New York stock exchange in 1986 and then later in 2004 they were named to the Forbes prestigious Platinum 400 list of companies. Thor's motorized divisions were previously 2 independent, but both very well know names in the RV industry. These two brands names were Four Winds International International & Damon Motor Coach. 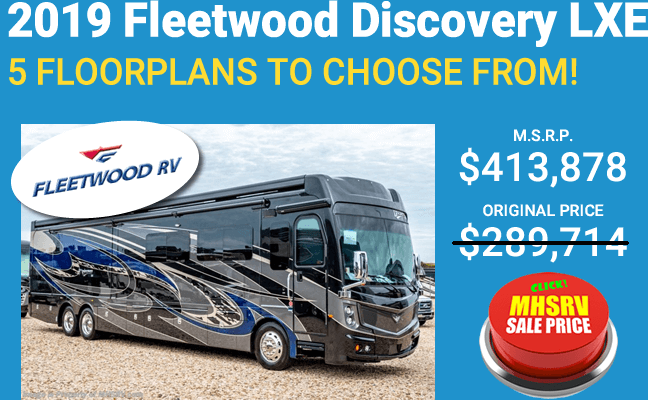 Recently Four Winds and Damon merged to become Thor Motor Coach the #1 retail selling motor home manufacturer in North America with an amazing line-up of now 26 of the most well known models of luxury motor homes in the industry! 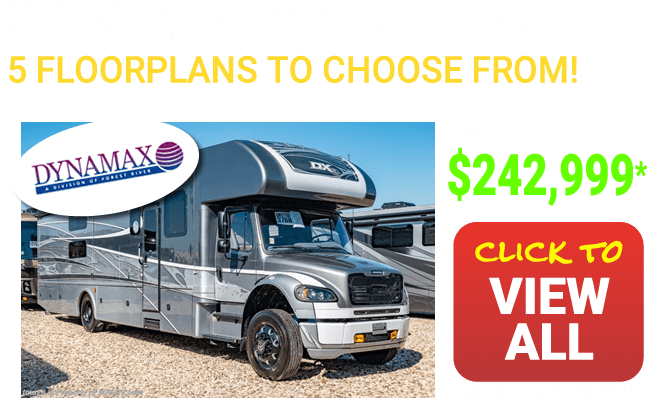 That's right 26 current different models from Thor Motor Coach are now available including the industry's first RUV models the Axis and Vegas. 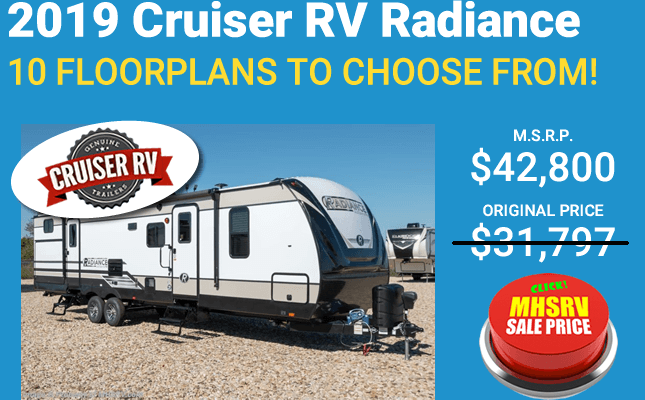 These models blend many attributes of an SUV with an RV. 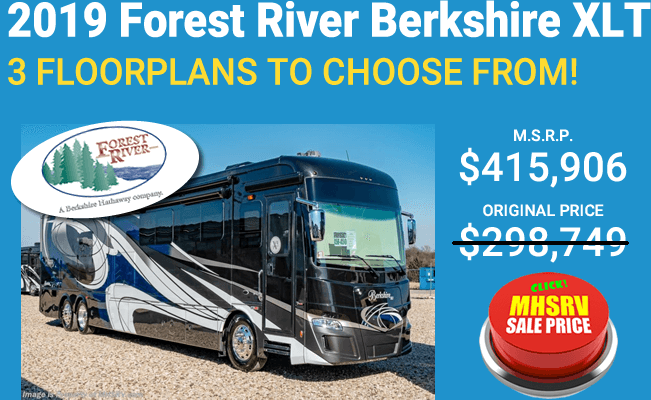 When you add to that the amount of floor plans, colors, features, options and sizes offered, Thor Motor Coach may arguably be the most diverse brand in the history of the Recreational Vehicle Industry. That must be why their new company slogan is Made to Fit! 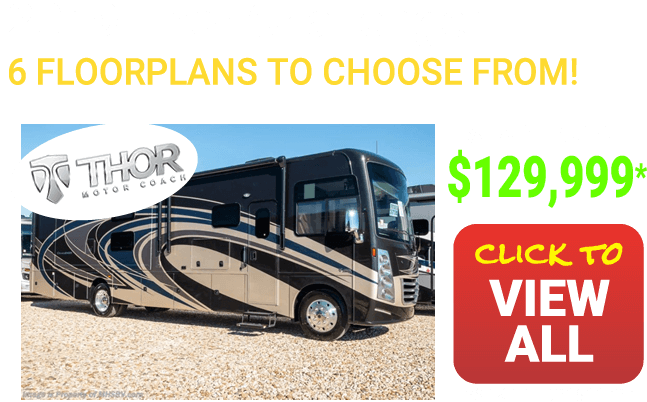 Thor Motor Coach RVs available at MHSRV include the Challenger, Miramar, Windsport, Hurricane, A.C.E., Axis, Vegas, Four Winds class C RV, Four Winds Chateau B+, Four Winds Chateau Sprinter Diesel, Siesta, Siesta B+, Siesta Sprinter diesel, Four Winds Super C and Chateau Super C diesels, Tuscany, Tuscany XTE, Venetian, Palazzo, Compass, Synergy, Gemini, Quantum, and the Thor Motor Coach Class A Outlaw Toy hauler RVs and Outlaw Class C toy hauler RVs. And be sure to check out the all new Outlaw Residence Edition. It is the only coach of its kind in the industry, at the time this was written, and has been a huge success in the industry. 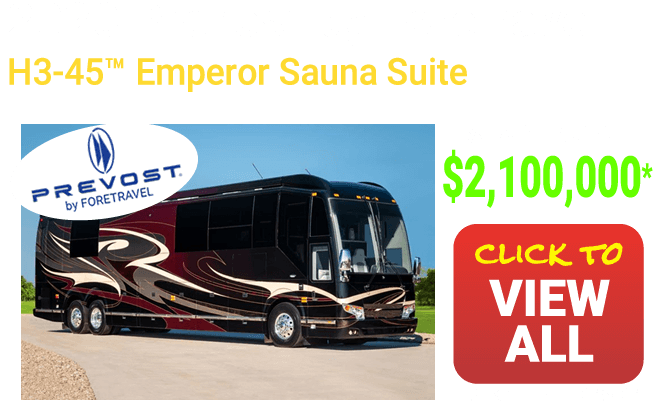 Its vaulted ceilings and rear patio system make this coach a tailgaters dream and an awesome coach for anyone who needs lots of sleeping, living and entertaining space. 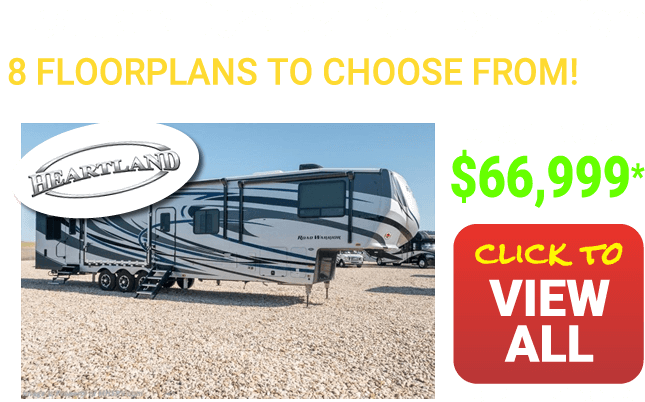 Thor Industries also builds thousands of the world's most recognized names in towable RVs including the Heartland Elkridge, Elkridge Extreme Light, Wilderness and Road Warrior Luxury Toy Haulers that are all available at Motor Home Specialist. 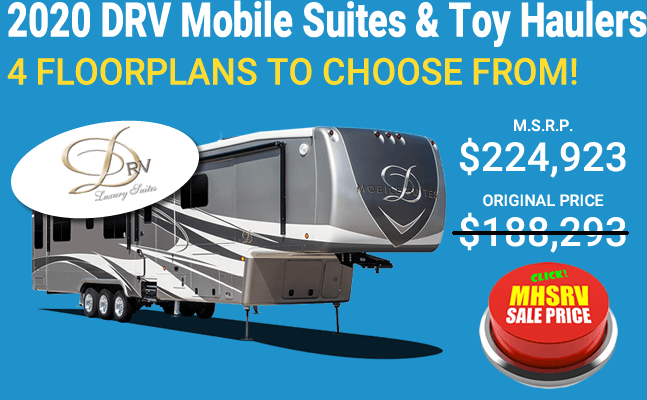 Motor Home Specialist is the only full line Thor RV dealer in the world and always has a great selection of colors, makes, models and floor plans in stock and ready to take out on the open road! 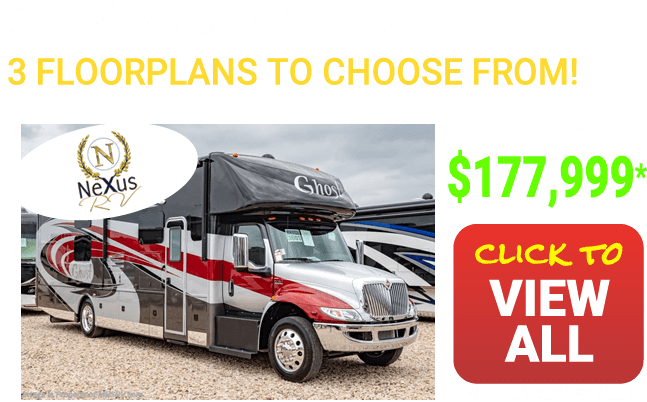 For more details about these incredible luxury RVs please contact a representative today. Thank you for shopping with us at MHSRV.com - We all look forward to hearing from you soon. More about Thor Motor Coach. If you spend any time on the road, then there is no doubt you have seen a Thor Motor Coach on the road with you. Thor produces just about one out of every four motor coaches sold each and every year. When you check out Thor for yourself, you will quickly discover why this brand is so popular. 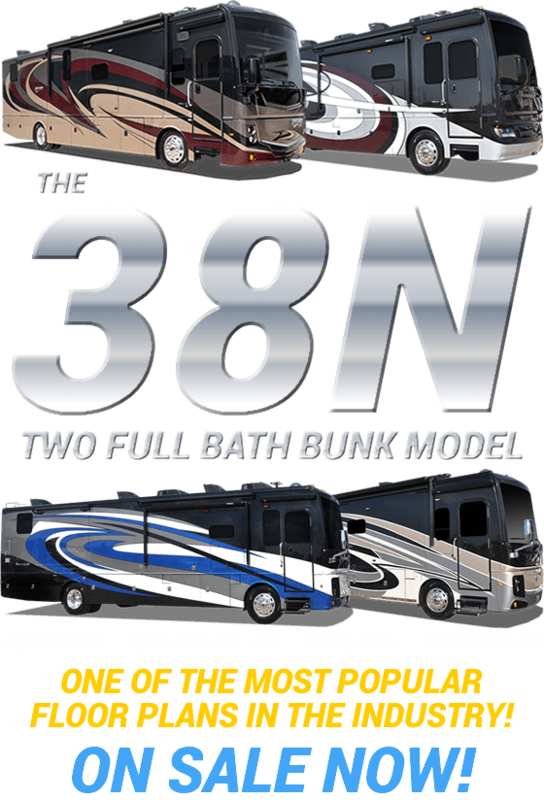 For over thirty years, Thor Motor Coach has been manufacturing motor coaches that fit every lifestyle and every budget. 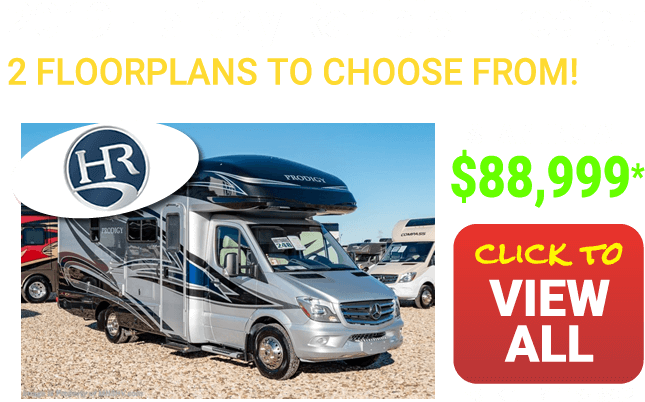 Whether you are looking to hit the road for a weekend or summer get-a-way, or you plan to make the road your home, Thor has the right motor coach for you.  Thor produces several gas and diesel powered coaches that come in several different sizes to fit your budget. 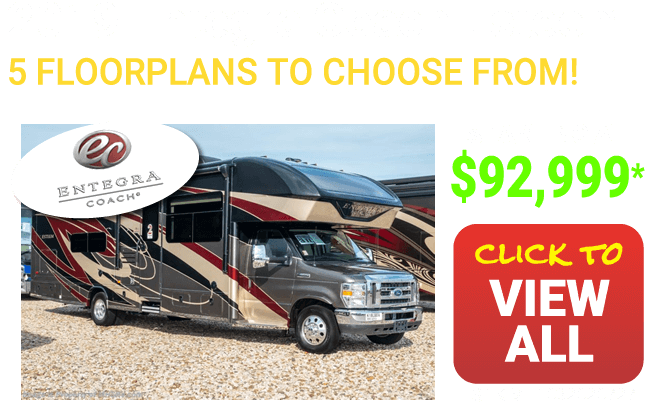 From the flagship Tuscany which comes in at approximately 45 feet in length with several shorter floorplans too all the way to the C Class RVs that starts at approximately 23 feet in length and usually about ten floor plans, there is a Thor motor coach just waiting to find its way to you. 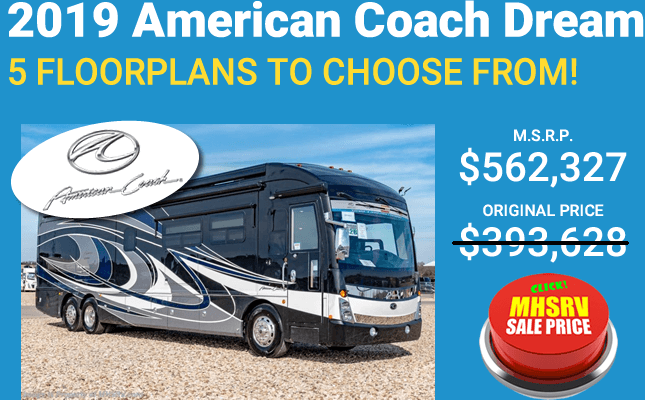 Discover the Thor Motor Coach Difference. 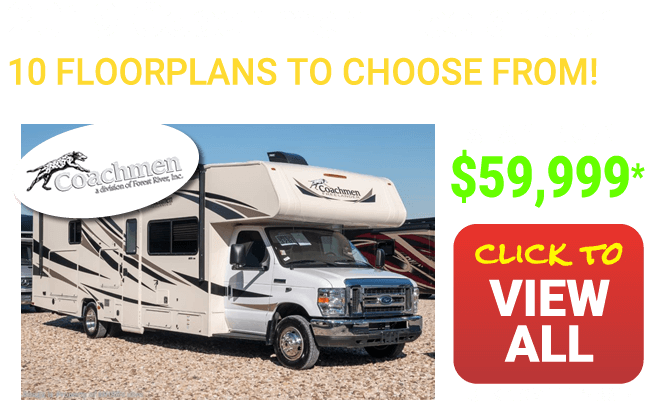 With the wide variety of styles, sizes, and floor plans, you will feel your new Thor motor coach has been custom made while still paying a very competitive price. Thor's motto is, "Made to Fit," and that is exactly what these coaches do. 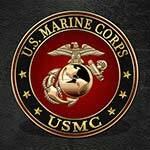 They fit your lifestyle no matter where the road may decide to take you. Amenities may include such items as: Surround sound entertainment, Massive exterior storage, Skylight in the shower, Self-retracting power awning, Rapid Camp wireless remote system, Solid surface kitchen countertops, Aqua Hot Heating, Freightliner chassis with I.F.S., rear patio systems and Thor MC 3-trax slide-out room system on select units. 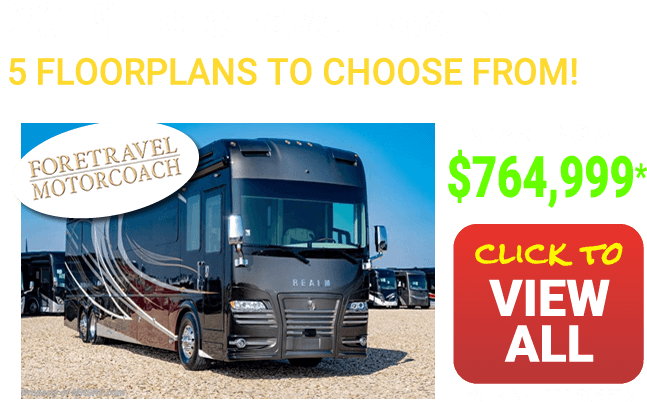 Also, you will have access to Thor's Rapid Response system to keep you on the road and the Concierge Connection to ensure you are loving your new motor coach. 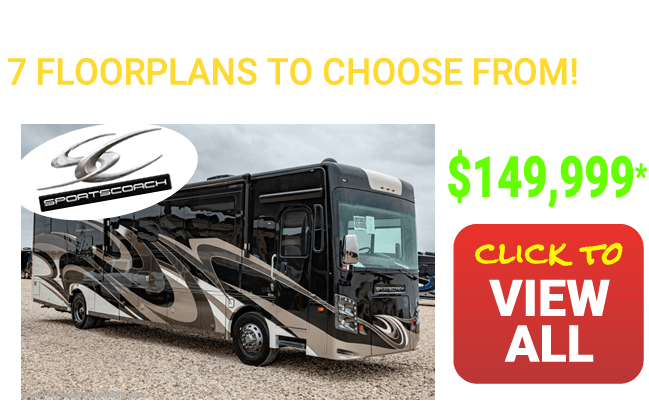 Give the Team at Motor Home Specialists a Call for Your New Thor Motor Coach. 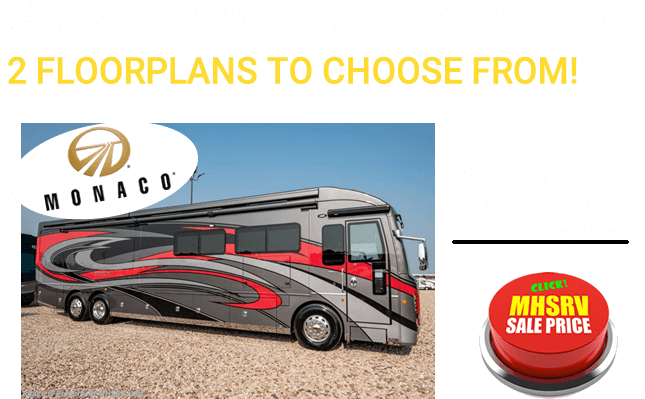 When you are in the market for a new motor coach, there is no better place to find one than at Motor Home Specialists. We are called specialists for a reason - we know motor coaches from top to bottom. So, don't wait, give us a call today to find your new Thor Motor Coach.